Full holiday house details and facilities listed below gallery. 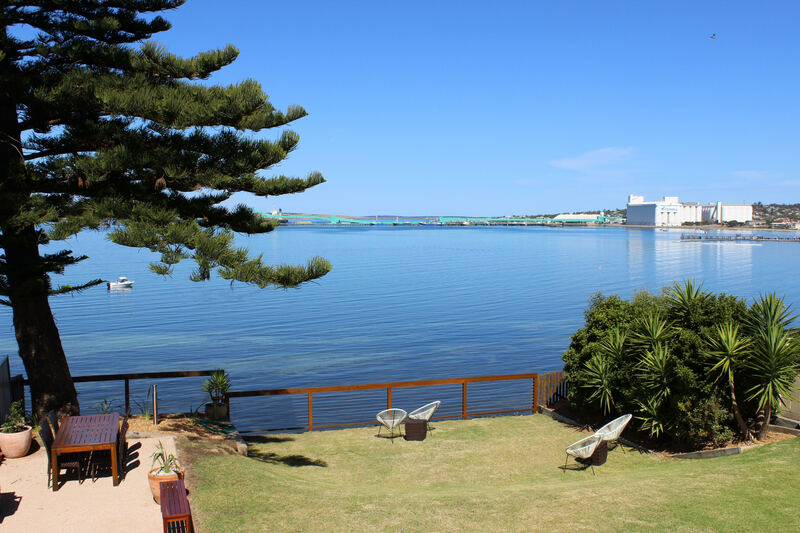 The luxurious Bay 10 Waterfront Apartment is situated on Port Lincoln’s prestigious North Shore and boasts absolute beach frontage in a breathtaking setting. The Apartment is set in a garden with absolute water frontage. Guests can enjoy a barbecue on their private deck, stroll into town along the beach or just soak up the uninterrupted views of magnificent Boston Bay and the Port Lincoln township.